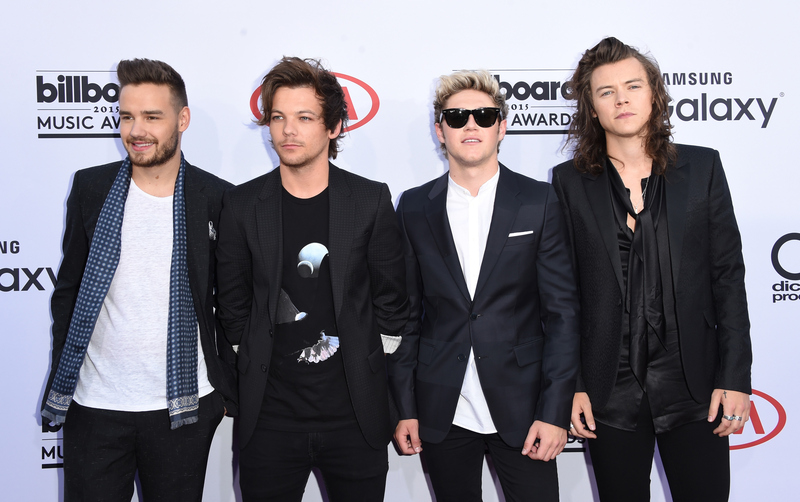 With less than one month to go until One Direction release Made in the A.M. , the guys are busy drumming up press on the project. Of course, that means that the band will inevitably answer questions about dropping an album after Zayn Malik quit One Direction. The pressure isn't fazing Harry Styles, who confidently spoke on the state of the band in a post-Malik reality. “It was obviously different, the process, because there was one less of us. But at the same time, it didn’t change — in terms of the writing of the album — it didn’t change that much," Styles told New Zealand's Coup de Main magazine. "The focus over the last five years has always been the same in that we want to make the best record that we can, and I think that didn’t change in any way. ... The process was very similar; obviously you go off and sing and write things and then you come back and you sing the things. Obviously, the album sounds a little bit different because you’re missing a voice that was there before, but we’ve very much grown stronger, probably through the realization that we all have the same goal for a lot of things. I think it was nice to have the album as a common ground that we all thought, 'We want to make this the best record that we’ve made.' We’re very happy with it and we feel like we’ve done that, so we hope that everyone else enjoys it as much as we like it." While the presence of Malik's famous glory notes will be missed, luckily there are things that haven't changed. Here's 11 of 'em. They don't dance and when they do, it's so awkward. Yet we love them for it. Scarves, flowy shirts, boots. Never change, Styles. Tomlinson's personal style has evolved over the years, but he still flaunts the ankles from time to time. He still makes us swoon every time. Okay, no guarantees on this one, but this performance will live on (and on) in our hearts. Payne has many talents. Telling jokes isn't always one of them. "Night Changes," "Story of My Life," "You and I." I could go on. He knows how to make us so emotional. Their breakout hit still resonates with us. Because we're not going anywhere anytime soon. Now all we need is Made in the A.M.